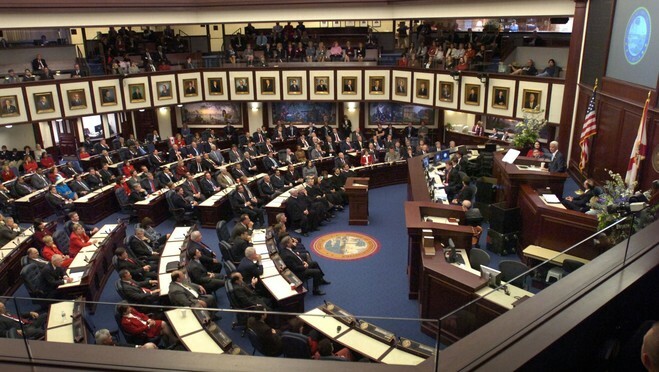 For the last several years, the state legislature has considered the possibility of rolling back Florida’s tax on commercial real estate lease payments, and the issue is back on the legislative agenda for 2015 with the introduction of a bill last week in the Florida Senate. I was very pleased to have had the opportunity to participate in last week’s International Council of Shopping Centers Florida Legislative Conference in Tallahassee, and our meetings with the lawmakers and their representatives proved to be very productive in persuading them to keep this measure in mind. Because Florida is the only state that imposes a sales tax on the sums that businesses pay to rent commercial space, this tax has a negative effect on the efforts of economic development councils and government to attract major employers and promote the growth of industries in the state. For the retail industry in Florida, this tax has been particularly onerous. The industry is struggling to compete with online retailers, and the tax makes it especially difficult because most of the online sellers have their facilities in states that do not impose such a tax. Our firm’s other real estate attorneys and I are pleased that this issue is once again being considered by the Florida legislature, and we will monitor its progress during this year’s session and post a final update on its outcome in the coming months. We write regularly in this blog about important legal and business issues for the commercial and residential real estate industries in Florida, and we encourage industry followers to enter their email address in the subscription box at the top right of the blog in order to automatically receive all of our future articles.